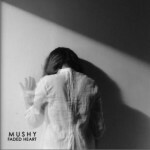 Mushy’s ”Faded Heart” LP is one of the best records i’ve heard so far this year. She uses the dark, minimal electronic beats like she lives in the ’80s and she sings with her beautiful, pale voice with only one goal: to transport you in a grotesque, parallel universe where nothing is safe and secure. 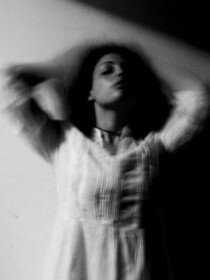 Looping drums, quitars and synths all come in one, creating a hazy atmosphere of dreams and nightmares, black and white. Like ”Losing Days” and ”Into Your Empty Eyes”, where the creepy rhythm section with the haunted synths of the first and the ambiance of her voice with the minimalistic soundscapes of the second draws a grey line into your black heart….. Amazing! Enjoy….